Purchase digital downloads and a range of printed products of Stuart Aken’s image - Military Helicopter over Yorkshire Dales. Military Helicopter over Yorkshire Dales. 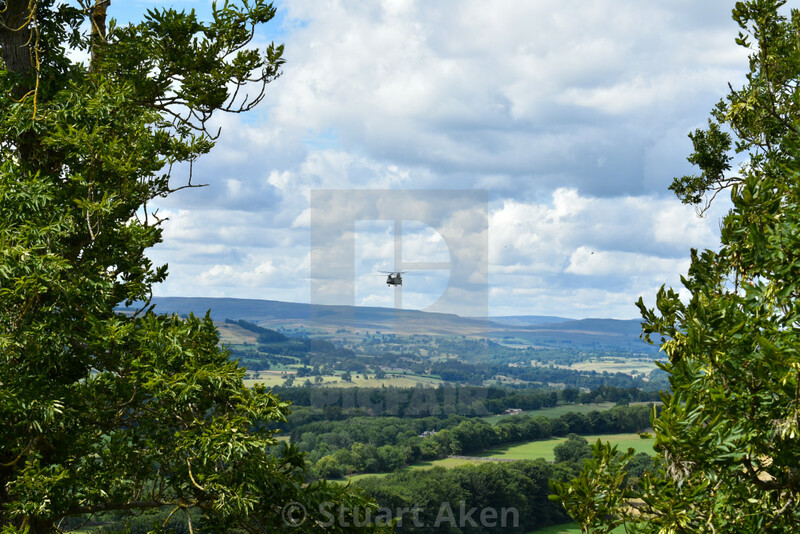 A military helicoptor hovers over the dale below Leyburn in the Yorkshire Dales, England.